Philipine Tour and Trips Tips and Ideas! As the saying says, Traveling is the best way to learn. Traveling single or with family or friends should be worth of what you pay for. Exploring from one place to another is one thing I always dreamed of. One of the suggested places or spots I can recommend to foreign or local travelers in the Philippines is the Cagayan De Oro City. With friendly and honest people all around the area, the hospitality of the Pilipino can really be seen in this City. 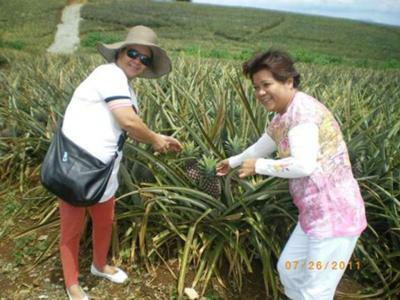 Another one of the places I visit here, is the very serene and cool province of Bukidnon, where there are pineapple plantations with bundles of fruits alongside of the road can be seen without any fences. 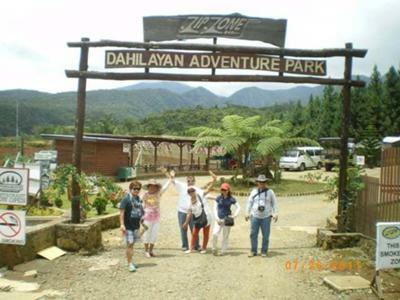 We go to the newly opened FOREST Park at Dahilayan Bukidnon, famous for their Zorbit Playground and fabulous Picnic grounds with different animal figures in actual sizes. They really look real, molded in like wax finish or some kind of polu urethane finish. 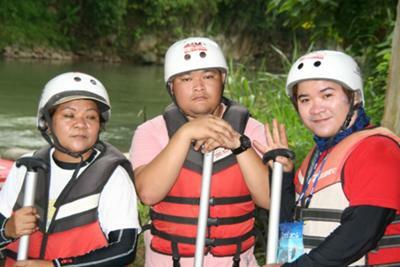 The next station we go through is one of the best for me, the 5 hour White Water Rafting which cost us P1,500 ($35) per person including a full lunch. It was really a reasonable price because the lunch was really heavy and also included is the 5 minutes video and some shots while shooting the rapids. 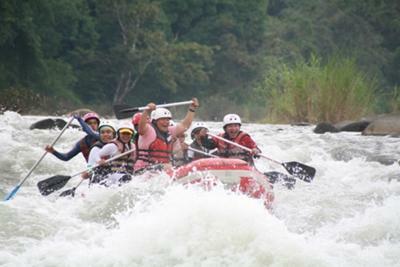 The experience was really exciting and invigorating. Comments for Philipine Tour and Trips Tips and Ideas! Taxi from Manila International to....Anywhere. Beware my friends. The prepaid airport taxi service from The airport is a rip off! The airport online site says p500 - p700 for safe travel in there "airport taxi' (yellow with no extra fees. (Tips). Here is reality as of Mid November 2011. Walked out of airport to taxi area and got hit. Where you want go etc. My Destination was Caboa, northern part of Quezon city. Got shown a chart and told p1750. The booking man wanted a tip and at the other end the driver did too. The trip back from the same hotel, at a similar time of day to the airport cost p250 on a (white) metered taxi. I Gave him p150 tip and he was happy. So, When you arrive at Manila International, go to the ATM's on your left just before the exit door, get some pesos then take the stairs up to 'arrivals'. The security guys are great. Spend a few minutes with them and you'll be fine. They'll find you a good taxi driver.